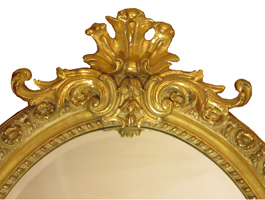 A Fine and Llarge French 19th Century Louis XVI Style Giltwood and Gesso Carved Oval Mirror Frame with a Beveled Glass Plate. 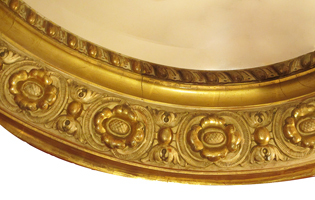 All gilding original. 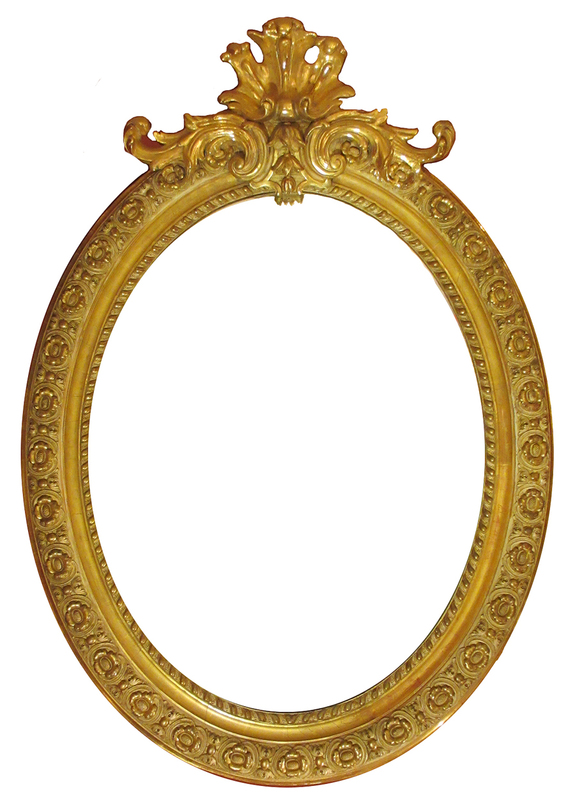 The ornately decorated frame with a floral design and crowned with a scrolled and acanthus leaves crest, circa Paris, 1890-1900.